Sean Mcguire is a Supporting Character in Red Dead Redemption 2. A cocky young Irish man who always wants a slice of the action and overestimates his own abilities. Sean McGuire was an Irish thief and stick-up man who came from a long line of criminals before joining the Van Der Linde Gang. Sean McGuire was one of the members who got captured by bounty hunters after a failed robbery in Blackwater. 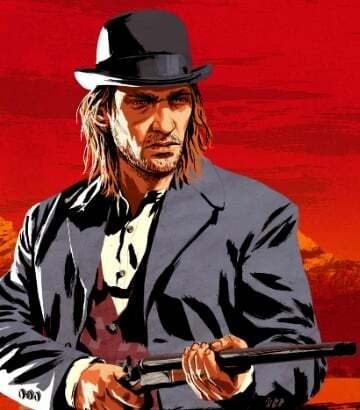 He was later rescued by Arthur Morgan, Javier Escuella, and Charles Smith right after learning his whereabouts from Josiah Trelawny. Eventually, he joined Arthur and Hosea Matthews in working for Catherine Braithwaite by helping her sabotage her rival, the Gray family. McGuire also joined Arthur alongside Bill Williamson and Micah Bell on a mission in the town of Rhodes. Unfortunately, the group was ambushed by Sheriff Leigh Gray, together with his men and ended up with McGuire getting shot at the head. Right after meeting his demise, Arthur expressed his affection for Sean and collected his body right after winning the ambush. He was well-known to be a cheerful man who enjoys spending his time with the gang at campfires, telling stories with enthusiasm. His grave can be found at the end of the path in Clemens Point, hidden among the trees, straight west from the house in ruin.